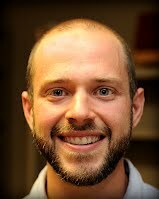 Ragan Sutterfield is a writer and Episcopal seminarian sojourning from his native Arkansas in Alexandria, Virginia. He is the author of This is My Body: From Obesity to Ironman, My Journey into the True Meaning of Flesh, Spirit, and Deeper Faith, Cultivating Reality: How the Soil Might Save Us, Farming as a Spiritual Discipline and a contributor to the book Sacred Acts: How churches are working to protect the Earth’s climate. Ragan’s articles and essays have appeared in a variety of magazines including The Christian Century, Triathlete, The Oxford American, and The Englewood Review of Books. He works to live the good life with his wife Emily and daughters Lillian and Lucia.